Rain of Happiness Nail Design!! Rain just does not wash away, it brings in lot of hope, prosperity and adds to the serenity on the fields, nature, hearts and minds. 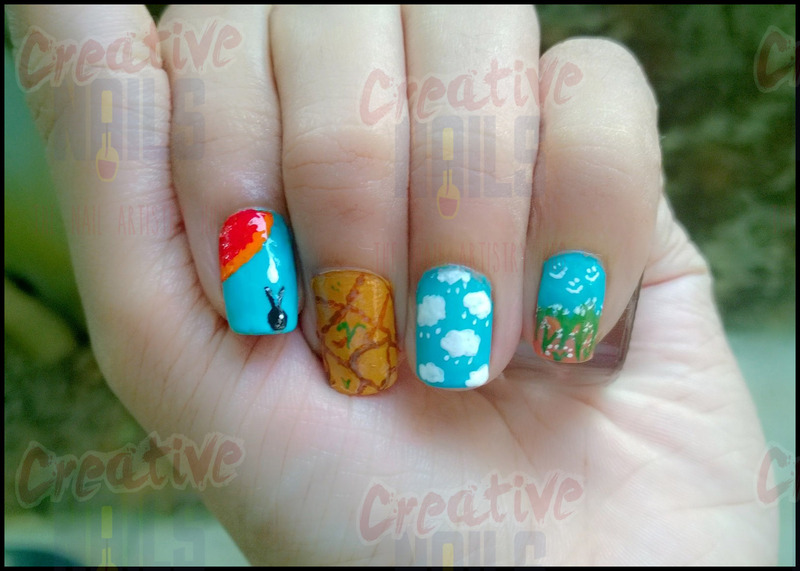 Creative Nails have tried bringing those tiny drops of happiness on to its art area. Hope you will enjoy these rain drops :-). ← Independence Day Nail Art!! How cute is this Mani.